Enjoy the Taste of Eating Right is the theme of National Nutrition Month. Connecticut Food Bank's mission is to provide nutritious food to people in need. Through the support of the community, fresh produce is now one-third of the food we distribute to more than 650 food-assistance programs. Sign up online today for any of the following locations, Bridgeport, New Haven, Norwich or Waterbury! 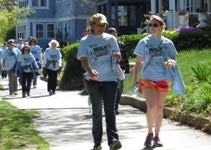 It's a fun way to raise funds on a warm spring day to provide food to needy men, women and children in six counties. 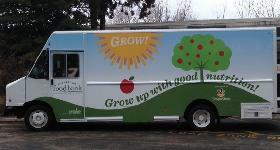 Volunteers are needed to ride along on the GROW Truck Tuesday and Thursday afternoons to help with our new GROW Up with Good Nutrition Initiative. You can play an important role in providing nutritious food to low-income families with children enrolled in daycare, preschool and Head Start programs. 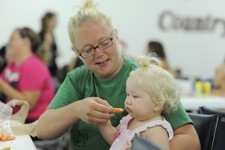 Connecticut Food Bank works with local growers, retailers, the food industry and community supporters to provide nutritious food to children who struggle with hunger. 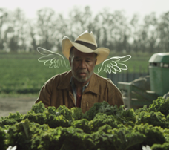 Watch our new public service announcement created by Feeding America, that thanks all the "angels" who are making a difference. A 24-hour online event where local nonprofits compete to raise the most money and win up to $25,000 in prizes. Donate early at www.FCgives.org to Connecticut Food Bank. Prizes awarded for charities with the greatest number and highest amount of donations by 10 a.m.!